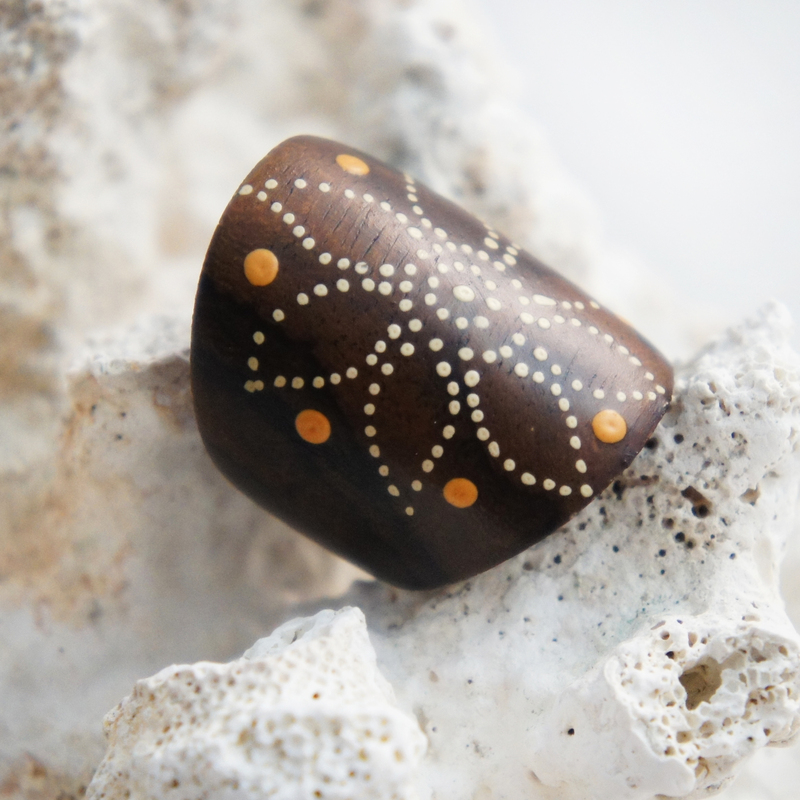 Our organic wooden rings are a celebration of life that binds us to the natural world. 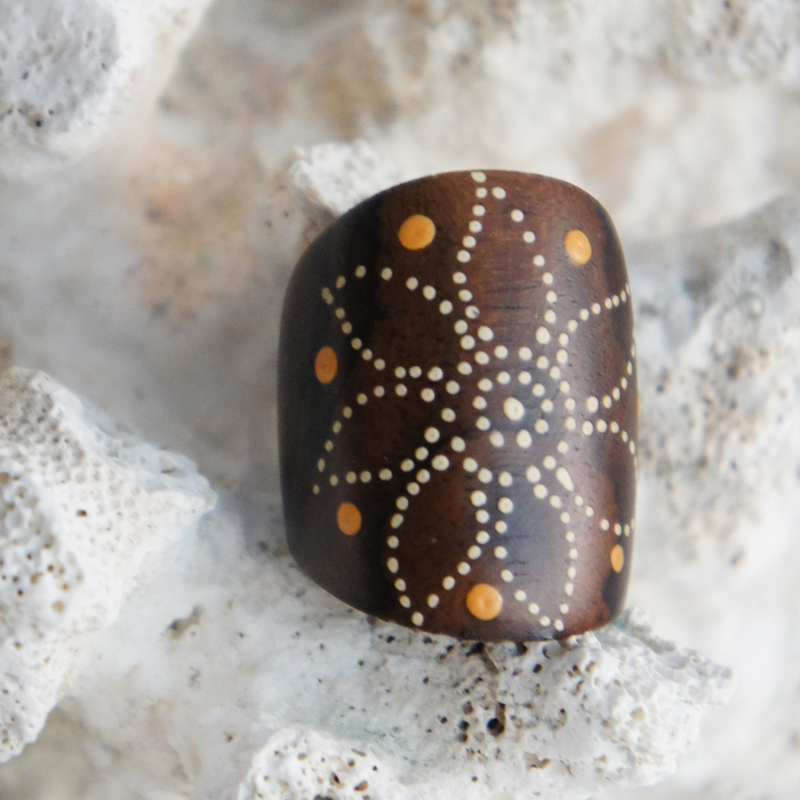 This large dome sono ring has been hand painted with a white spotted flower. Flower power was a slogan used as a symbol of passive reistance through out the 1960's and 1970's. Hippies have adorned the symbol creating clothing and jewelry that shows their support of the non-viloence idealogy favoring peace, love, personal freedom, and a back-to-nature lifestyle. 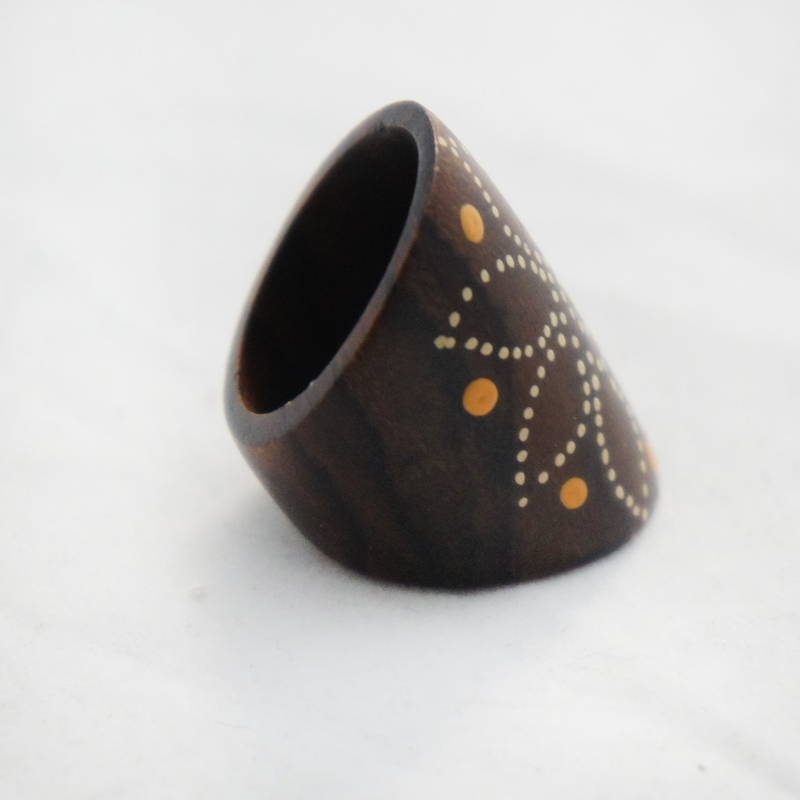 Show your support by wearing one of our wooden rings!